We find our selves back in Burgundy with this delightful 2011 (disregard the label above saying 2010 😛 ) chardonnay. It was a couple of weeks ago that I found myself discussing the wines of the Cote d’Or with other avid Burgundy fans while at work, and subsequently had the pleasure of getting to taste this fantastic bottle. I liked it so much in fact I will most definitely be looking into his premier crus with high expectations. The small Village of Puligny was first noted by name between 909-1049 as a property of the monasteries of Cluny then known as “Pulyniacus.” It added the name of its most famous vineyard Montrachet in 1879 while the AOC itself was founded in 1937, and has been known synonymously with world-class chardonnay ever since. Today it is a small quiet french village of approximately 424 residents closely resembling the village it was in years past. In fact most of its stone buildings haven’t changed their appearances for over a hundred years. The ground water level is extremely close to its surface soil and as a result most vineyards in the village lack any kind of underground cellar or even basements, thus making it hard for winemakers to prefect aging in barrels over a year. It has 4 grand cru vineyards two of which (Montrachet, Batard-Montrachet) are shared with Chassagne-Montrachet the neighboring village to the south. The Carillon family began making wines with Jehan Carillon in 1520 and is one of the oldest known wine producers in the region. Jacques and his wife Sylvia founded their vineyard of 5.25 hectors in 2010. Their wines are known for complex minerality, body, and connection with the land they were grown on. The grapes are harvested by hand and sit on light “lees” for roughly 1 year in 15% new oak barrels and then 6 months in stainless steel vats. The average vine age is 38 years. 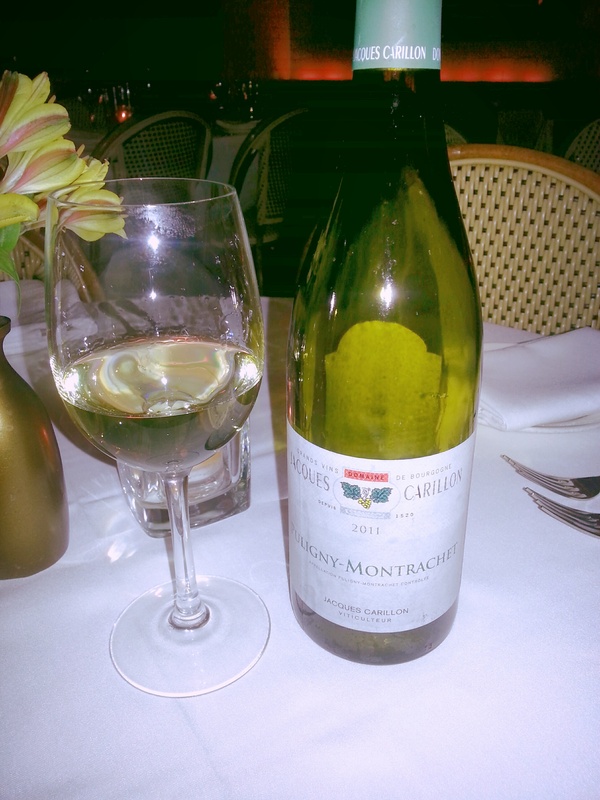 This white Burgundy is one to be remembered especially with spring just around the corner. The nose instantly picks up heavy scents of crushed rocks and mellowed vanilla, followed by hints of lemon and pear, closing out with the slightest notes of mint. Once on the palate this wines incredibly well-balanced body and rounded acidity open up your taste buds and appetite with sensual nuances of citrus, apple, and pear cut with the ever familiar taste of french oak and butter. I imagine closing out a warm spring night alfresco with this bottle or possibly paring it with lighter white fish dishes or even a salad mingled with fattier cheeses. Want to know more about Chardonnay? Check out this post all about it.